I awoke to the sounds of a light drizzle and the rustle of my Dad packing away his gear already. A couple we met last night, Steve and Angie, came down to the shelter and began making breakfast. Dad had taken the liberty of grabbing the bear bag down for us, so we joined the packing and eating commotion. The noisy mouse from last night had either left or fallen asleep in the shelter like I finally did. Dad said the mouse hopped across his bag last night. If the mouse climbed on me, I never knew. I slept pretty well. A dismal photo of the fog and rain outside the shelter. This is where the morning takes a sharp turn. Apparently, I was the only one who slept well. Dad hadn’t slept well last night or the night before and had been having to make a staunch effort to take in calories since Saturday evening. “Choking down the food,” as he put it. The bottom line is that he was shaking while standing still and had nothing left in the tank, metabolically speaking. Makes sense: no rest and little food would leave me shaking, too. He decided it was time to call off his hike. There is some good fortune in the timing of this bad news for him, though. We are at Rock Gap shelter, a mere 0.1 miles from Rock Gap, where a shuttle can pick him up. Luckily, Dad and I were already supposed to end our day by getting a shuttle to the Nantahala Mountain Lodge. We devised a plan that would allow Dad to get his truck and meet me at the lodge tonight where he could rest, sleep, and make a final decision tomorrow morning. Steve and Angie were the only ones who (barely) had cell service and they did all but a climb a tree to help us make the call to arrange the shuttle. Thanks, guys! 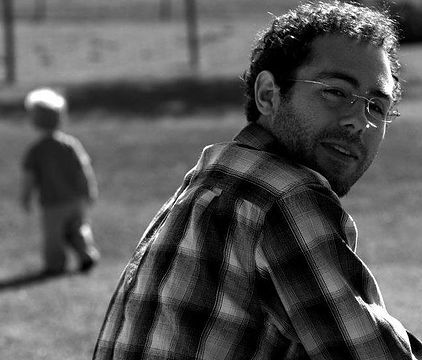 I’m doubtful Dad will change his mind about leaving the trail given his rock-bottom experience, but I resign myself to let time decide. I’ve got some hiking to do. Besides, Dad was jammin’ for the last 20 miles despite the problems and the rain. It was more rain than I had to deal with on my first AT hike, that’s for sure. Angie got off the phone with the shuttle and gave us a time frame for the driver’s arrival. 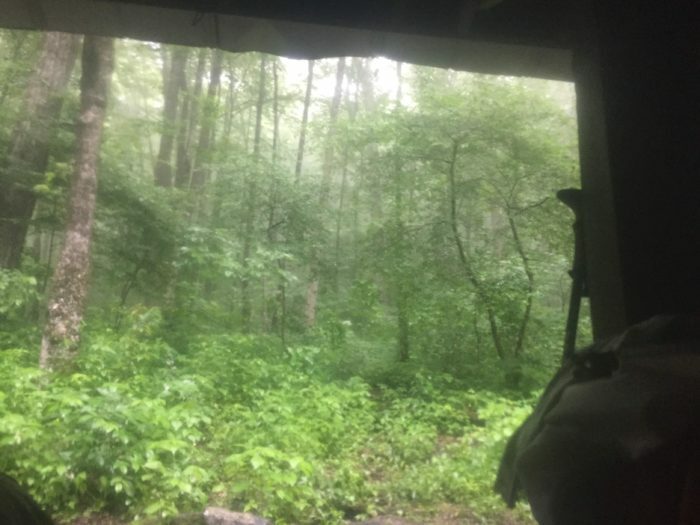 We weren’t sure if Rock Gap had any shelter from the mild rainstorm currently putting a damper on things so I decided to go find out and made a quick 0.2 mile hike down and back. Nothing. Not even a good place to stay under the trees. I came back to camp and delivered the news. At Rock Gap, I said my goodbyes to Dad and set off hiking solo again (sorta). Steve and Angie were headed to Winding Stair Gap to catch a shuttle with friends so we ended up hiking together for almost four miles. These two had some interesting stories about their farm in Nicaragua where they host mission teams every year and contribute to their local community. My pour-over coffee caught their eye earlier this morning and it just so happens they are now addicted to Nicaraguan coffee so we had a fantastic coffee discussion. As trail talk often does, the conversation then turned to food. I discovered their farm was getting a brick oven to produce authentic pizza at their homestead. Steve filled my mind with beautiful dreams of homemade sauce, dough, and toppings on a brick oven as he described all the testing they had done to refine a pizza recipe. File this under “How to make a hiker inconceivably hungry.” In all seriousness it was a fun time chatting (yelling) with these two over the sound of the rain. We all arrived at Winding Stair Gap and their friend arrived moments later to whisk them off toward Franklin. The piped spring at this gap was currently jetting at least a five-foot stream of water from about chest height; we’re talking some serious water pressure. I filled up on water in about three seconds flat and filtered it. While grabbing some water, two hikers came southbound out of the woods. I met Legs and Dr. Doolittle, who admitted they were actually hiking northbound but had to backtrack to leave the trail for personal reasons. Bummer. Since they had to wait for a ride, we swapped trail name stories and their names are quite accurate to the tale. Dr. Doolittle is training to be a veterinarian and apparently talks to any animal she runs across on the trail. Legs, whose short inseam (short shorts) punctuates her trail name, got her name in the rain. It’s no secret that when you hike in shorts, your legs get dirty. She apparently had suffered this fate a little more radically than normal and was trying to wash her legs off… with her filtered water from her water bottle… while standing in the rain. She turned around to hear the entire shelter full of her hiking companions dying in laughter and she earned the name Clean Legs, which was later shortened to Legs. I love trail name stories. They bring the trail to life in interesting ways and fondly connect us to this slightly masochistic lifestyle. I wished these two gals good luck and headed northbound to Siler Bald. With no hiking partner, I was left alone with the rain and my thoughts. 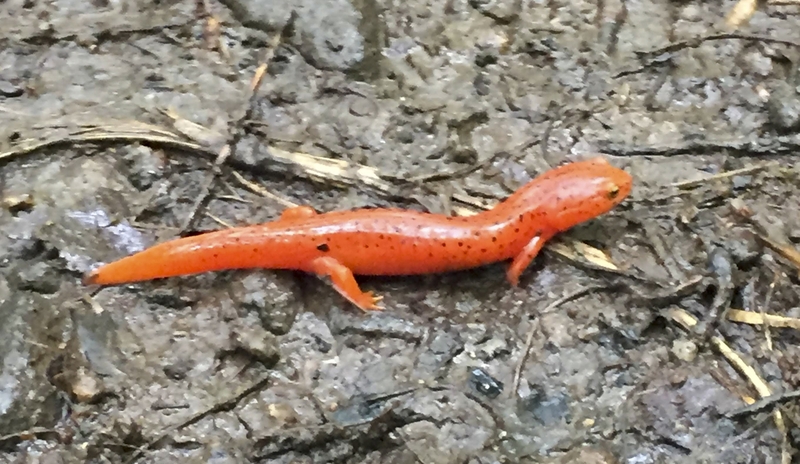 Probably the only thing noteworthy that I noticed on the climb was a bright orange Eft (a common newt). He sat strikingly orange in the middle of the trail. He didn’t care that I took his picture and he didn’t move a muscle when I stepped right over him. Brave or careless, he was on full display during this brief pause in the rain. I reached Siler Bald and was planning to have lunch and call my shuttle from this location, as directed by the lodge. Once again, no cell signal. The climb up to the summit was a muddy uphill in some very apparent fog and I wasn’t looking forward to climbing this just to see clouds and a chance at cell service. I was trying for cell service again when a hiker and dog popped out of the woods. The stubby-tail Australian herder, Indy, gave me some dirty looks and gruffly barked before I could meet his owner. I’m introduced and discover her name is Annalise and she’s a late-season thru-hiker. I was kind of shocked to meet someone attempting a NOBO thru-hike this late in the season, but I hope she makes it whether that includes a flip flop or not. Annalise also explained that Indy is the kind of dog who doesn’t go outside in the rain. He gets very cranky in the rain. Join the club, dog. At least for the moment, I was quite cranky about the climb for cell service. Annalise and Indy set off down the trail and I started up the climb to Siler Bald. About one-third of the way I got cell service, thank god! 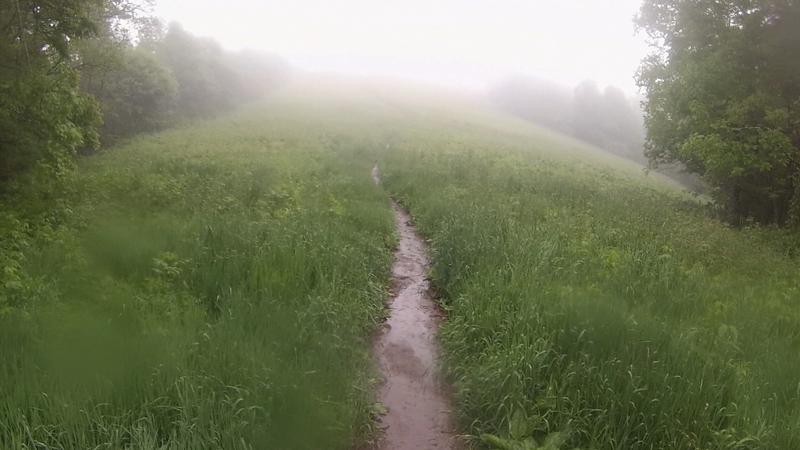 The path to Siler Bald summit. I called the lodge, gave them my ETA ,and was then filled with instant regret: totally forgot to leave time for lunch. *sigh* After slamming down a handful of snacks (some almonds, fruit strips and a Slim Jim), I started a quick descent – the quickest I’ve made to date. I flew down the trail and only stopped briefly to take some video of the muddy waterfall, I mean trail, that I was hiking down. Believe it or not, I managed not to trip and fall on the descent. Annalise and Indy were finishing a break when I arrived so I said hello again before resting and waiting for my shuttle. I made such good time I had at least a nice 15+ minute break. Waiting in the rain for the shuttle at Wayah Gap. The shuttle pulled up one minute early and took me to the lodge. Hello again, car sickness – ugh! No matter. I got to the lodge, unloaded my stuff, and grabbed a shower. It was nice to be out of the rain. Dad was there relaxing and we made some plans to go into town and have dinner since he had his truck on site. We found a place called Hoppy Trout Brewing Company, which had some excellent pizza to satisfy the craving Steve and Angie had given me earlier. As luck would have it, the place crafts its own root beer so I enjoyed a house root beer with my food. After eating, I convinced Dad to go watch the new Star Wars movie, “Solo,” at the two-theater cinema in town. It was a good movie but it’s a wonder we both stayed awake through the entire movie since it was well past hiker midnight. What a great night in town together! Back at the lodge, Steve and Maggie were excellent hosts and very accommodating. I definitely recommend this place, the Nantahala Mountain Lodge. Some friends I made last year on the trail told me about this place. In fact, they are set to stay here tomorrow. They have a whole group that comes down from Virginia the same week I do. They are one day behind me this year so they’ll be staying here tomorrow. As luck would have it, I noticed the resupply boxes they sent themselves and took the liberty of putting some hiker graffiti — “Pace Car was here” — on the box. If I can’t hike alongside them this year, I’ll put my mark on their hike some how. Ha ha, love you Virginia crew! Before I head to bed, I have to share more good news: somewhere in our conversation, Dad found his trail name. 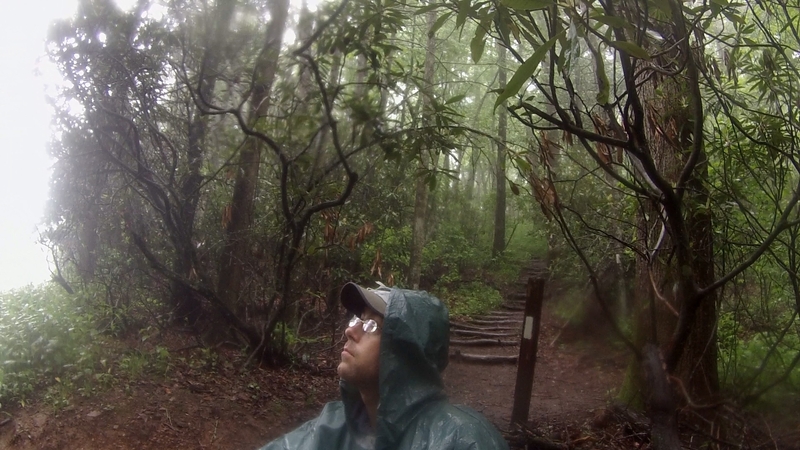 Remember how I said he was jammin’ on the trail, even in the rain? Well I must tell you the backstory before you can fully appreciate his trial name. 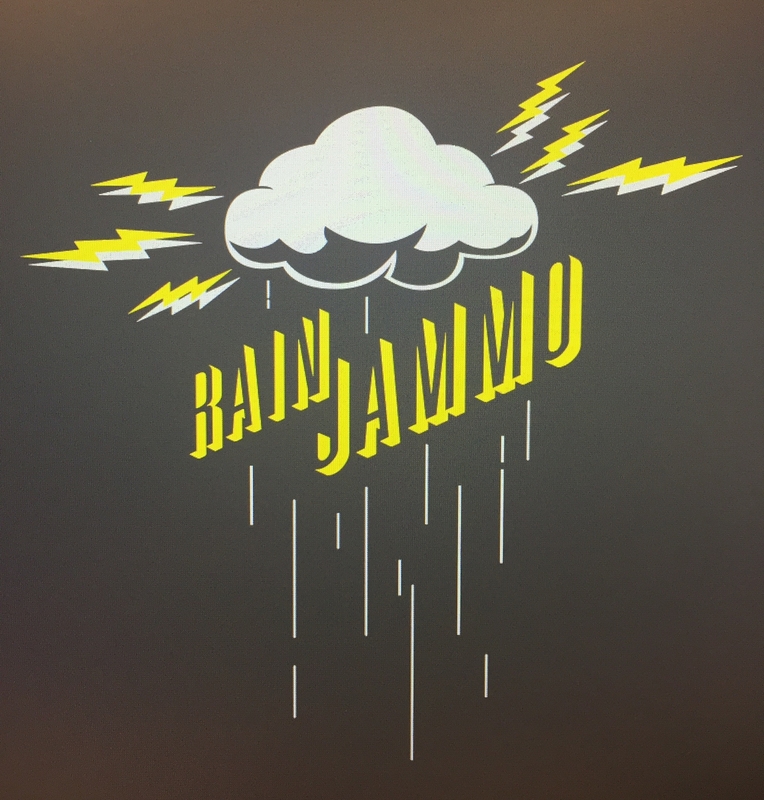 The design on Dad’s Rain Jammo T-shirt. Now, if you’ll excuse me, a soft bed is calling my name.